We are a comprehensive electrical service provider based in St. John's, Newfoundland with residential and commercial construction, maintenance and 24 hour emergency service clients. Our COR certified professional team delivers the best service through leadership in quality and advancement. We comprehend our client's needs and the assets we maintain. 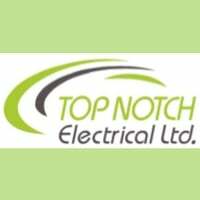 Top Notch Electrical Ltd. experts take great pride in the way we operate, and guarantee the quality of our services is of the highest standard. The safety of our team and clients is paramount, and we ensure the highest level of workplace safety.